Gold and Silver foil is a hot trend right now! 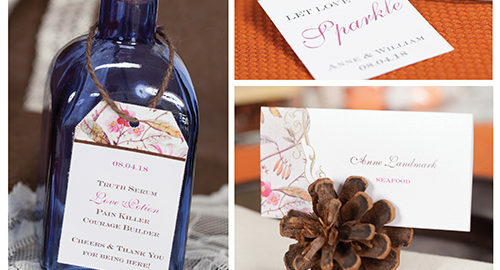 Rustic and laid back is the trend for weddings this year. Plan the perfect wedding, starting with your invitation. Personalized and Monograms Gifts on the Go!